October | 2014 | Namaste to you, Sir! 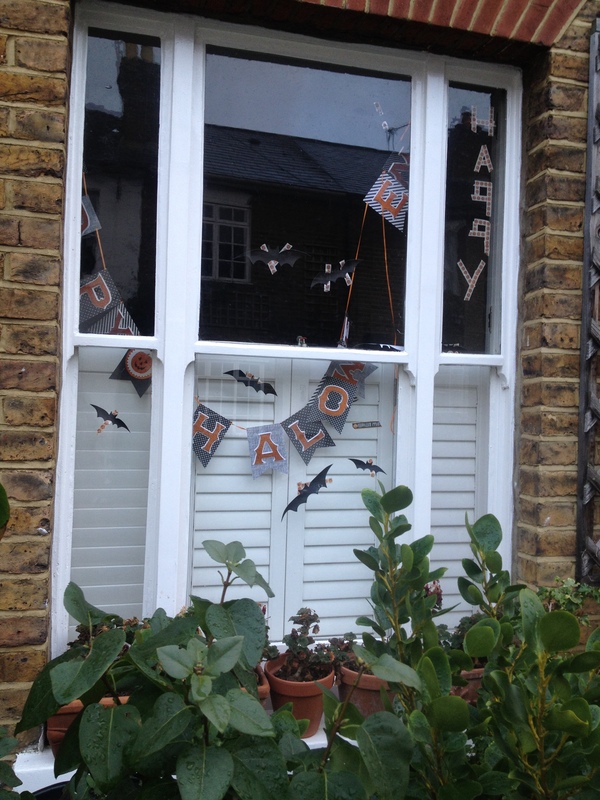 I have to say I feel a bit disappointed on my neighbours… We must be the most boring borough in London! I went for a walk today, with my camera, expecting to find great pumpkin decorations, bats, ghosts, witches… When I was in Dublin, every house was a real treat! People had actually given a lot of thought to the way they had decorated the front of their homes to make them scary or cute, depending, I guess, on the personality of their inhabitants and the age of their children. 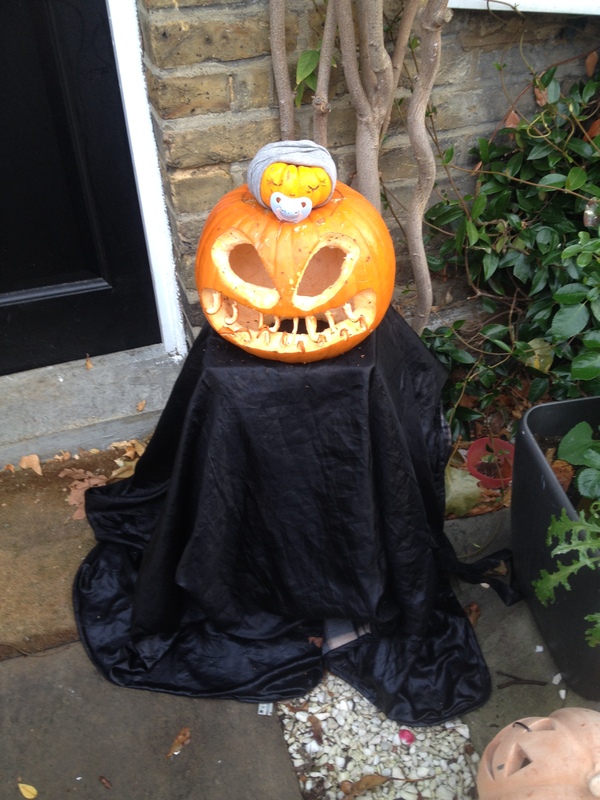 However, in my neighbourhood, only 1 house in 10 had something akin to a decoration. 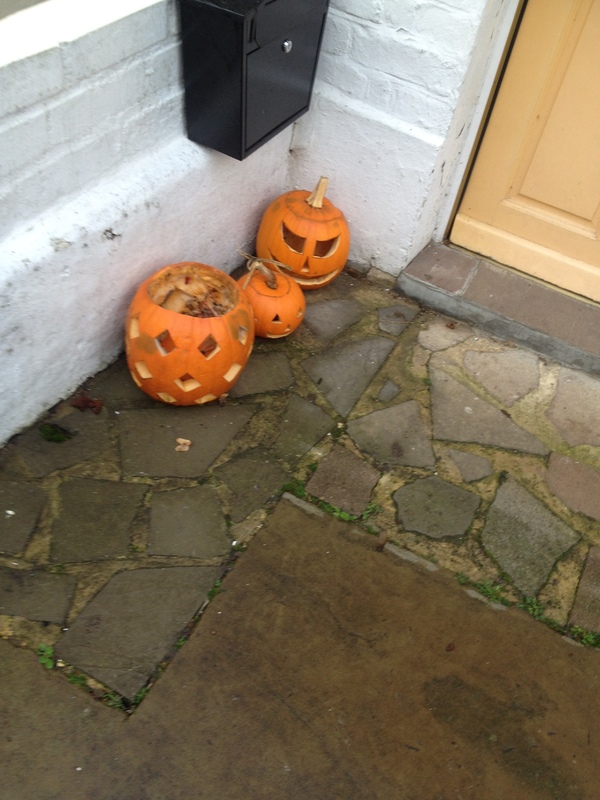 Not even the pub had a single indication of Halloween! Carve people, carve! The spirits are coming tomorrow night and we must be prepared! 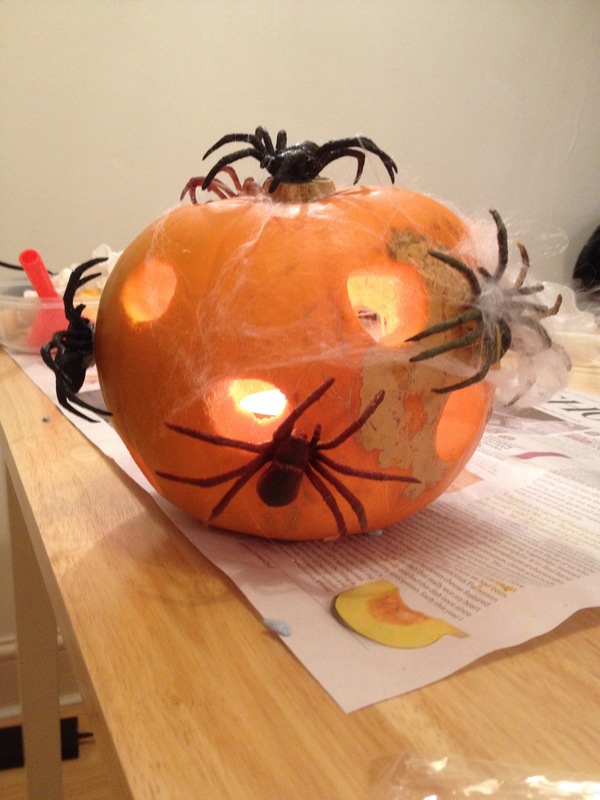 After the first night out, we lost 2 spiders to one of the many cats that live on our street. 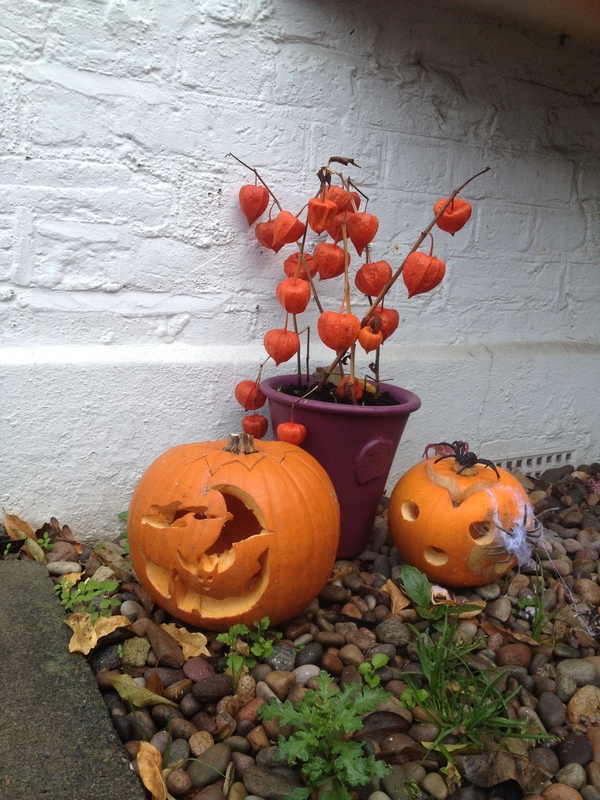 We never managed to reattach them properly, so we left them on the pebbles at the front of the house. Now, they give me the creeps every time I set foot outside! Hehehe. Hope your street is full of cool decorations! Easy Pops! 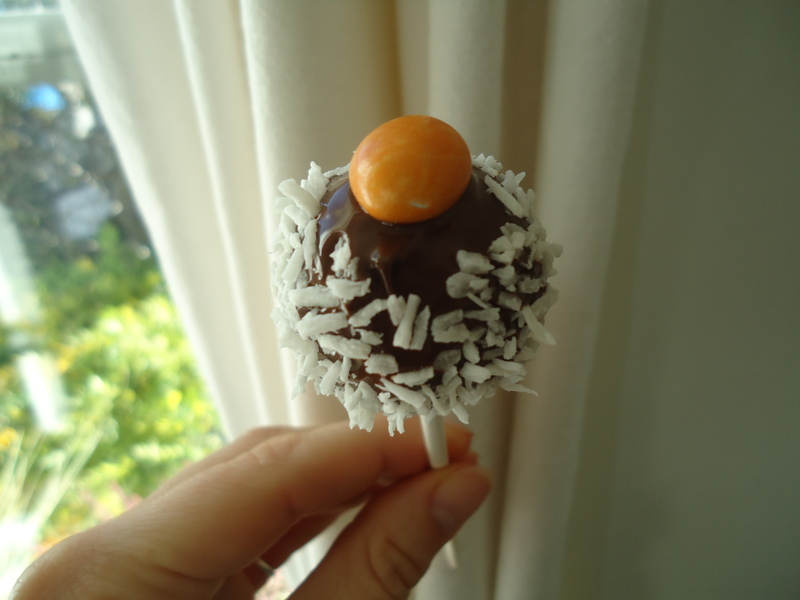 Like cake-pops but easier. 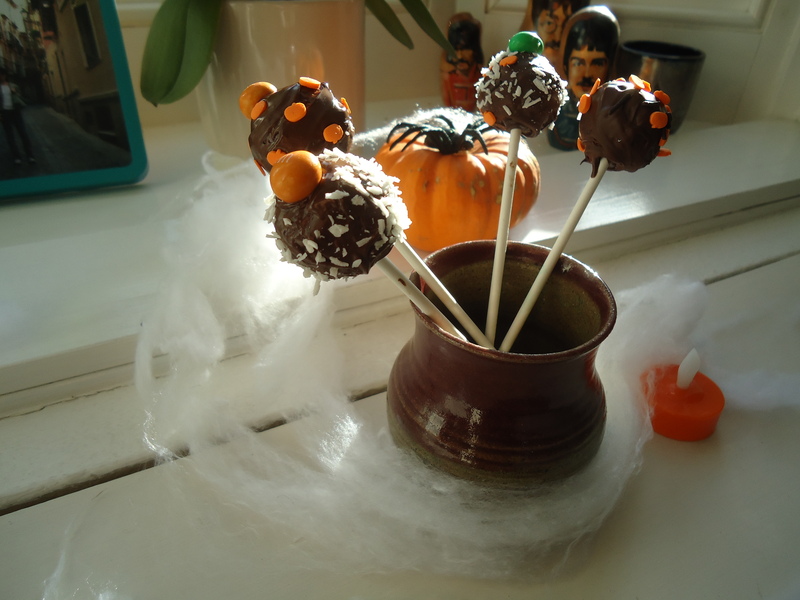 The only tricky part is covering them in chocolate, because they are a bit more fragile than cake-pops and the melted chocolate is less runny than Candy Melts, which is the traditional coating for cake pops. However, placing them in the freezer before hand, makes the job a lot easier. 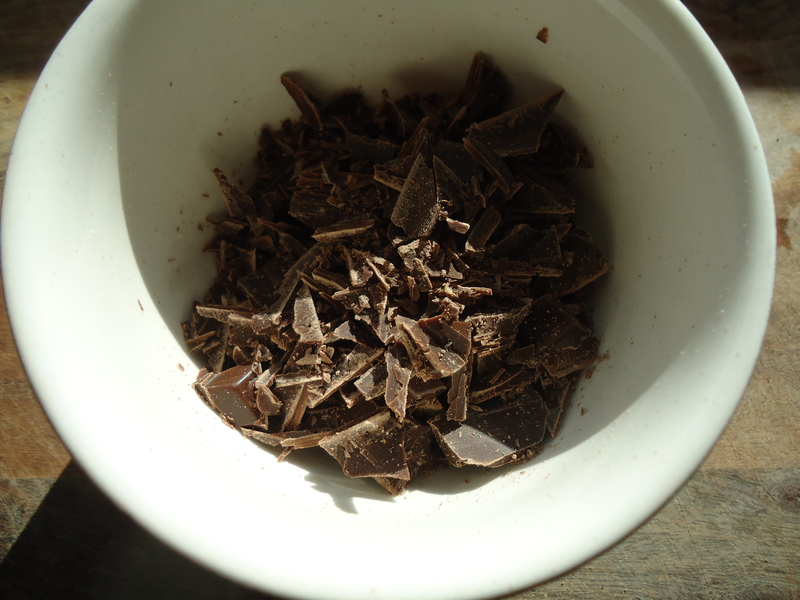 180 g dark chocolate for coating. 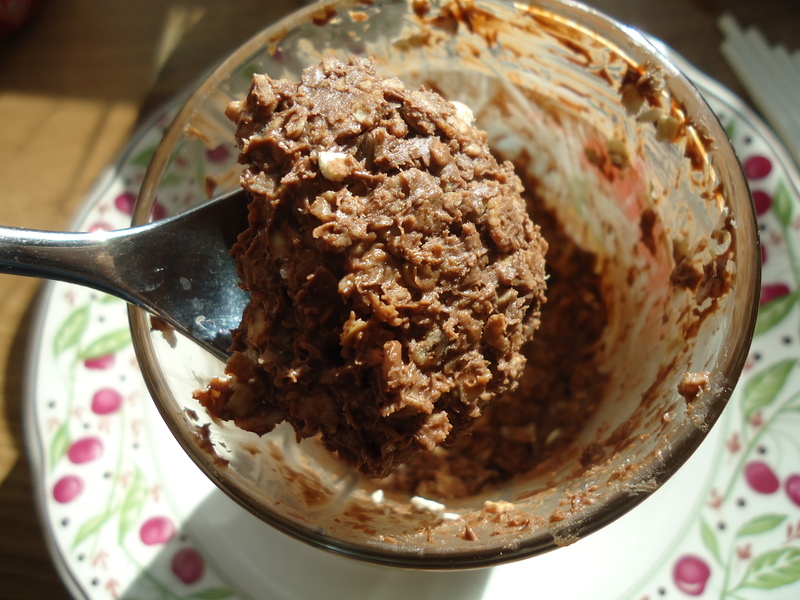 1.- Mix the Nutella, oats and coconut together. Put the mixture in the fridge for 1/2 an hour. It should look like this. 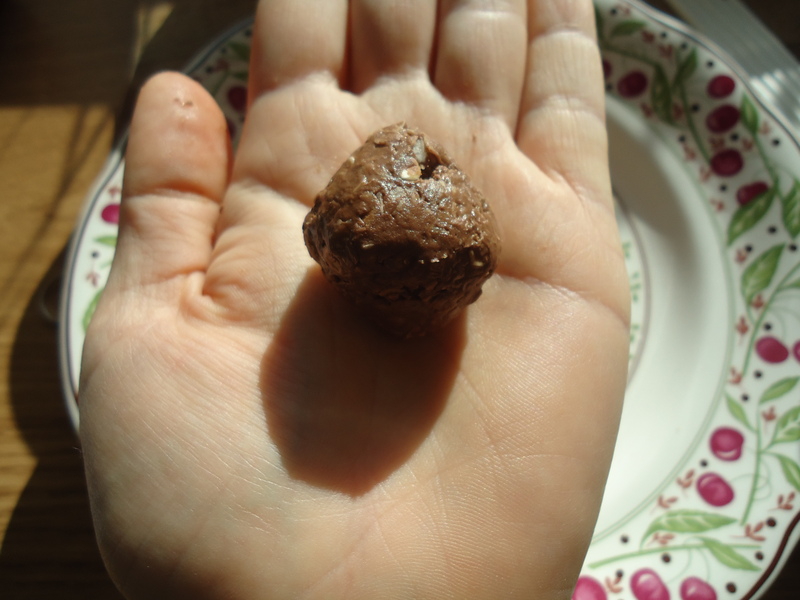 2.- Take 1 teaspoon of mixture at a time and roll it between your palms to make little balls. 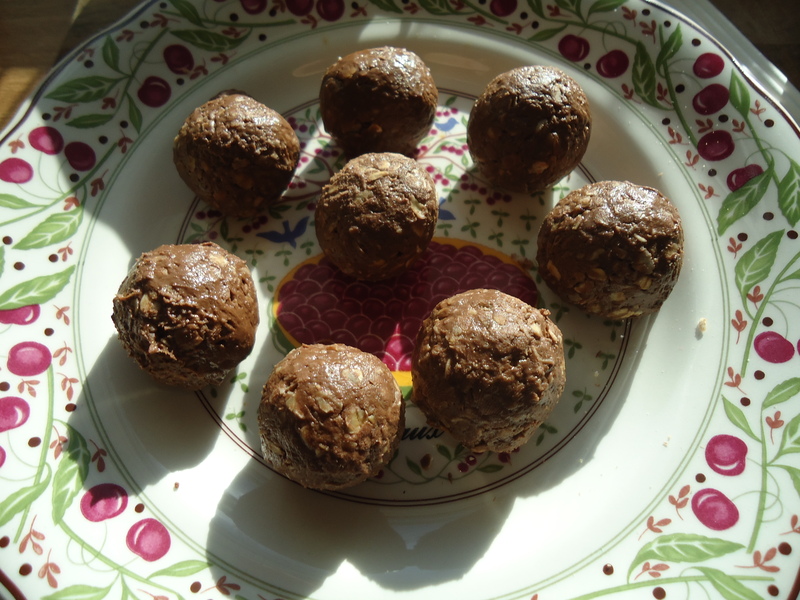 3.- Place them in the freezer for 15 minutes, while you chop and melt the chocolate. 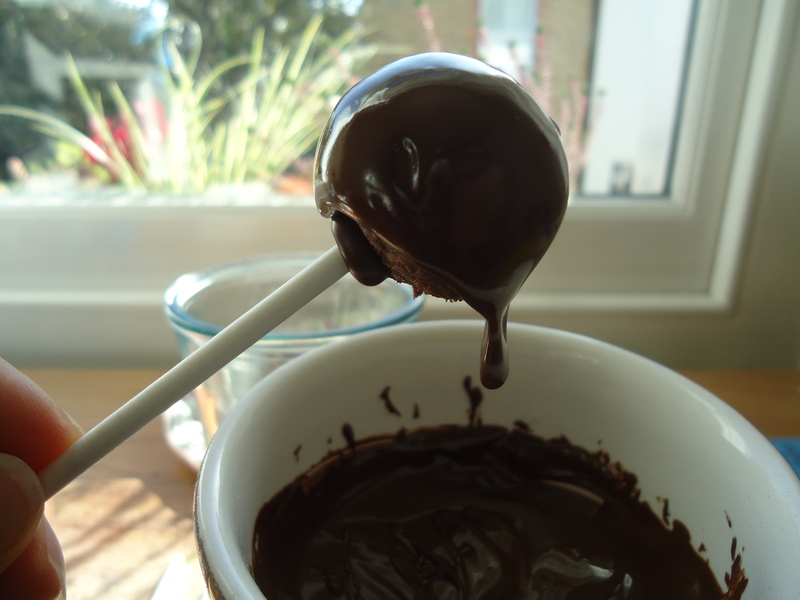 You can melt it in the microwave or in a bain marie. 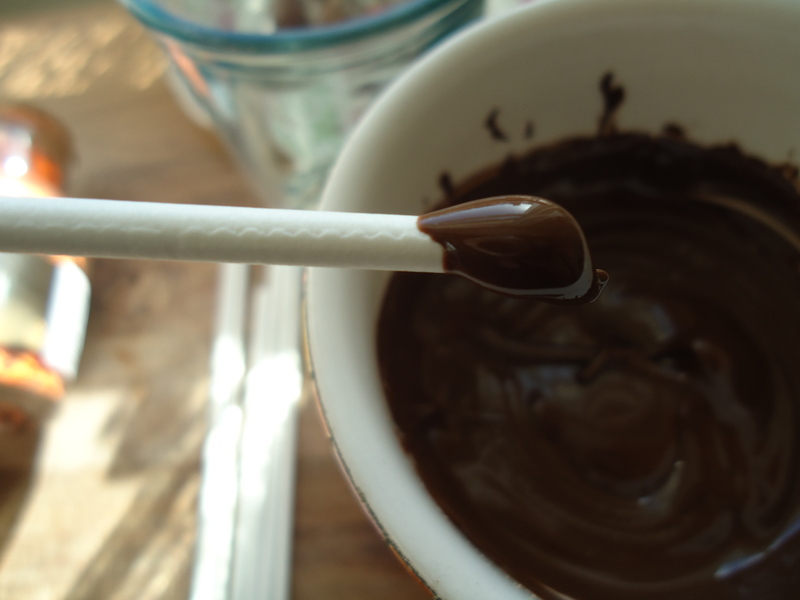 Just make sure no water falls into the chocolate or it will go grainy and solid. 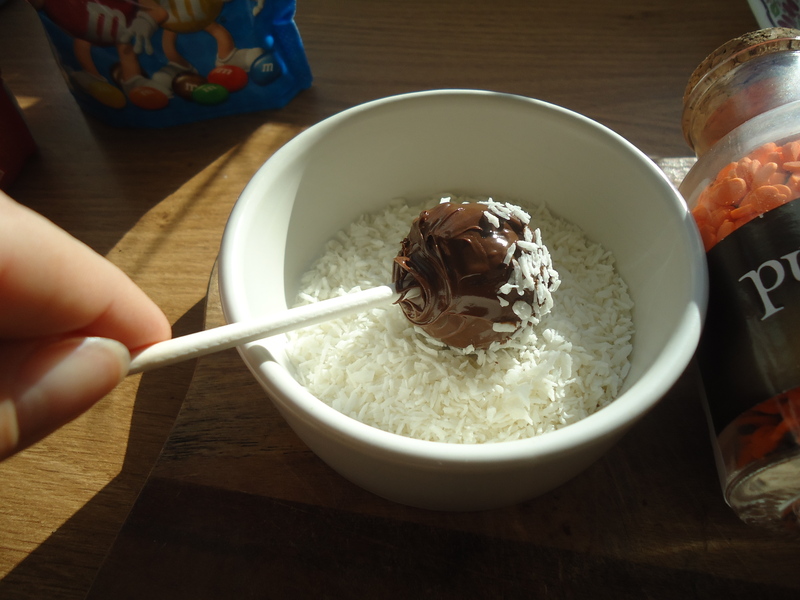 4.- Once you take the truffles out of the freezer, dip a stick in the melted chocolate and put it through one of the little balls. Repeat with all the truffles. Then place in the freezer for 20 minutes. This will make it easier to handle them. 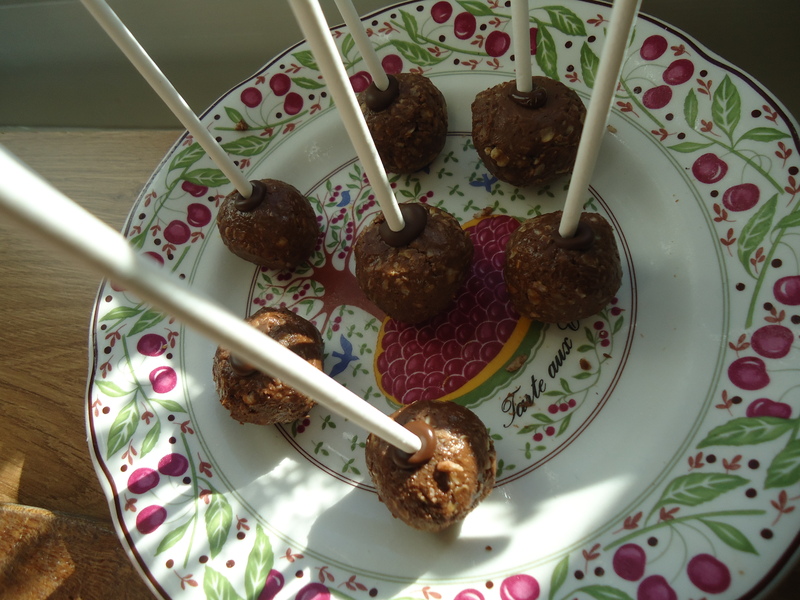 5.- After 20 minutes, take them out of the freezer and dip them one at a time in the chocolate. 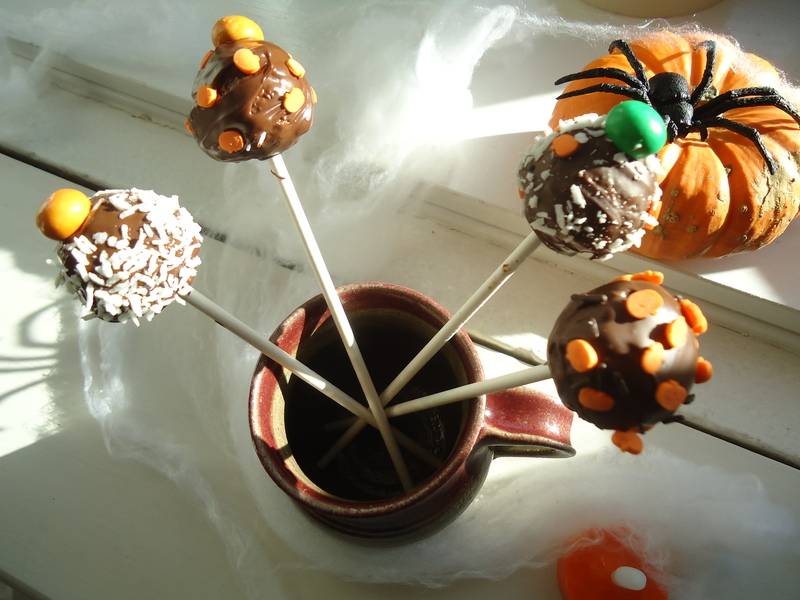 You can use the cake pop technique explained by Bakerella on minute 1:58 in this video or you can help yourself with a small knife or spatula. 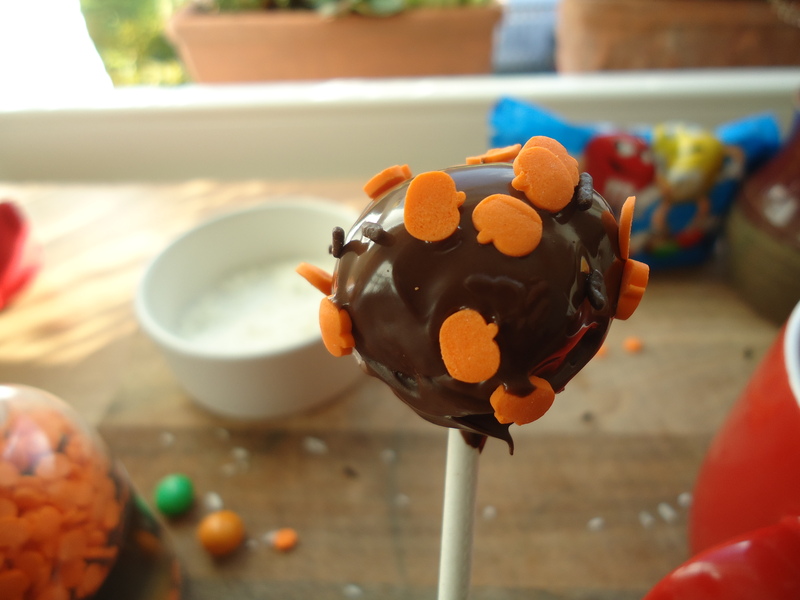 6.- Before the chocolate hardens add the decorations: you can sprinkle dried coconut, sprinkles or crunched m&ms. 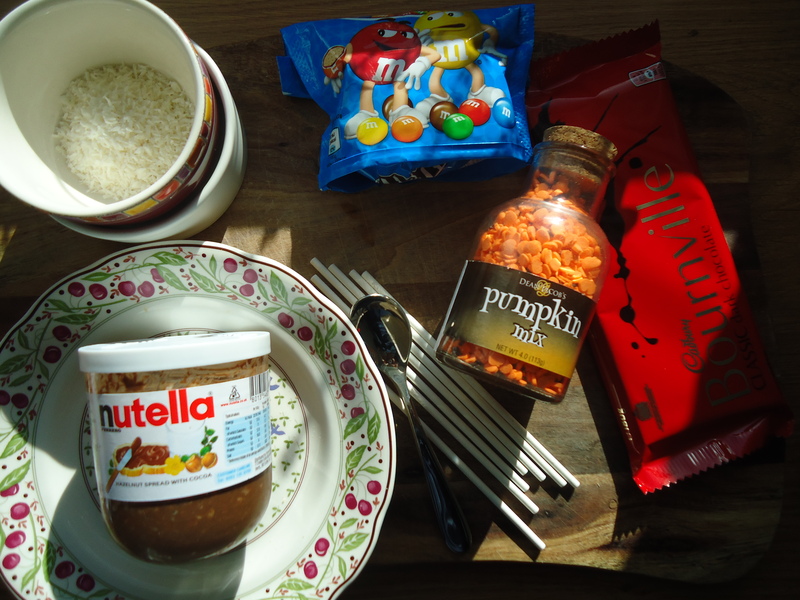 7.- Keep them in the fridge. They are great with a bitter coffee, to cut through the sweetness. Another tasty variation is to add chopped candied orange peel. 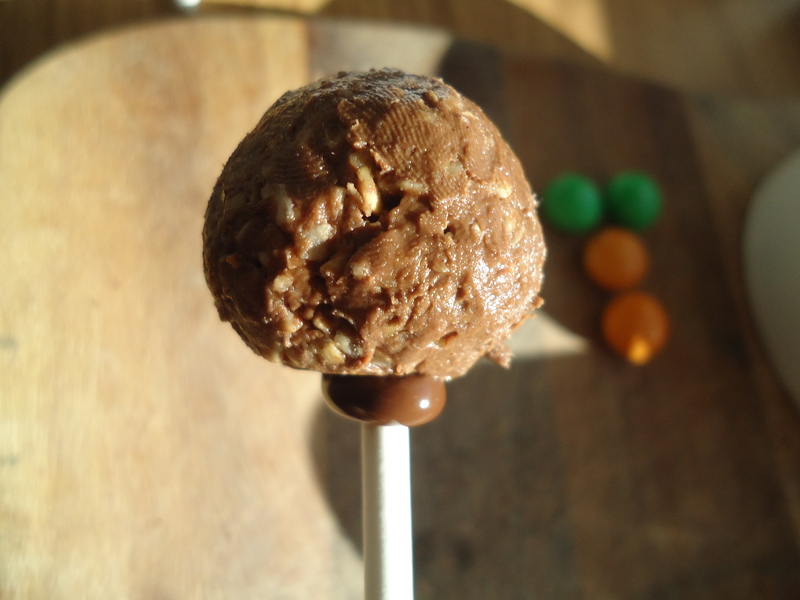 It gives the mixture a lovely citrus flavour that goes really well with the chocolate. So expect a lot of green juices, spelt breads and healthy cooking for next week! !